Ready for a vacation in scenic Estes Park? 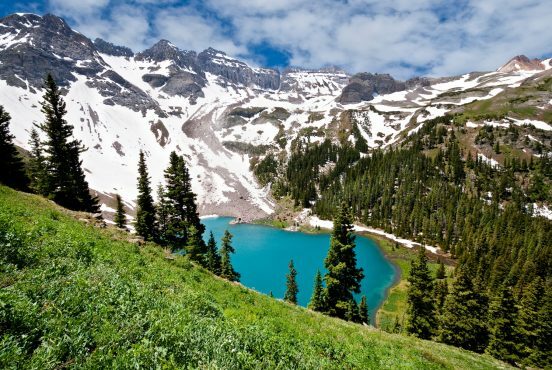 Estes Park, Colorado is best known as the base camp for Rocky Mountain National Park — home to jaw-dropping views, wildlife encounters, and opportunities for outdoor adventure at every turn. Why take a vacation to Estes Park? Whether you’re planning a large family reunion, a weeklong trip with your friends, or a romantic weekend getaway, Estes Park is a great place to reconnect with nature and the people around you. 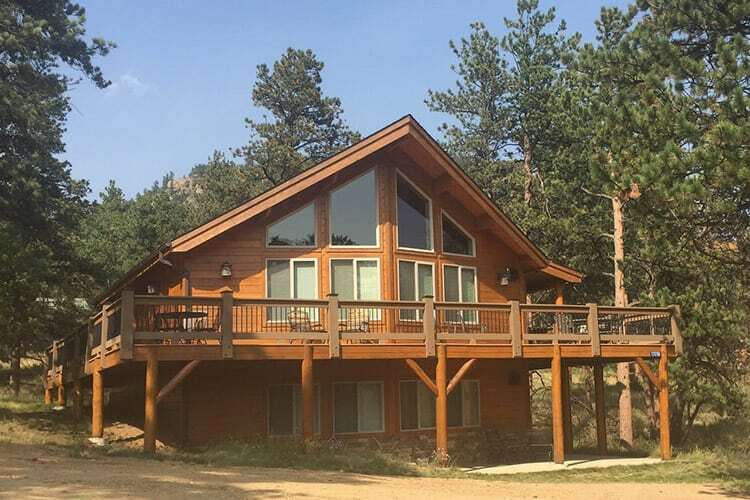 There are plenty of lodging options in Estes Park, but renting a cabin is the way to go for a truly authentic Rocky Mountain experience. 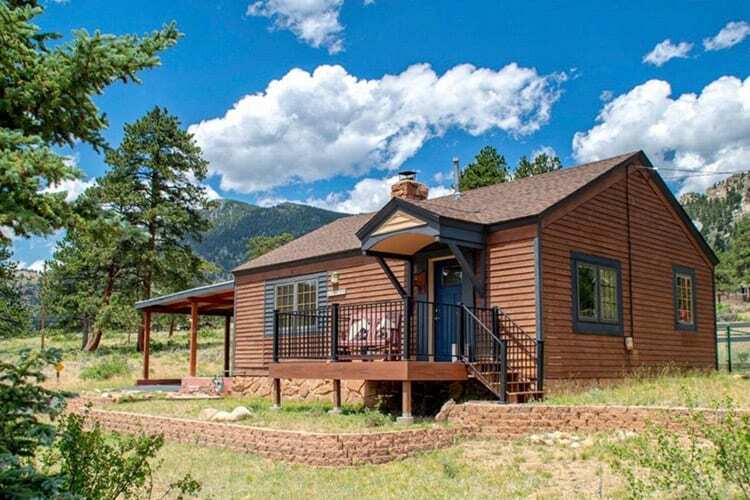 Here are 10 of our favorite cabins in Estes Park, from quaint two-person retreats to spacious big-family cabins. The recently-renovated Vintage 1921 Cabin is a peaceful retreat for when you need to head to the mountains and de-stress. 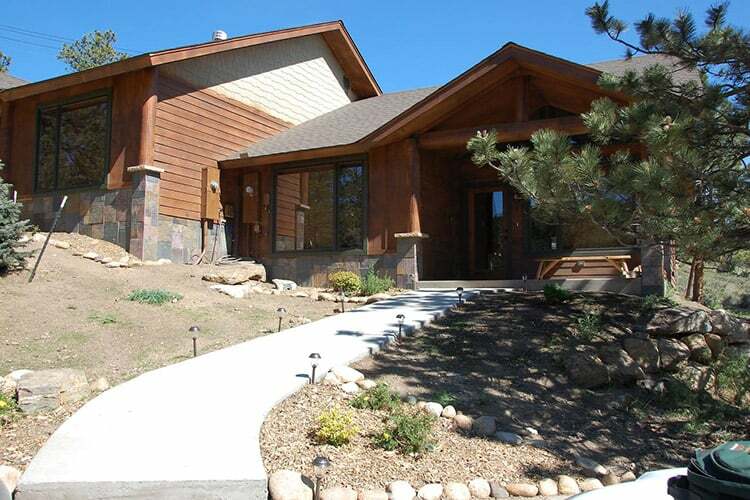 You can see Longs Peak from the windows, plus a steady stream of wildlife on the property. 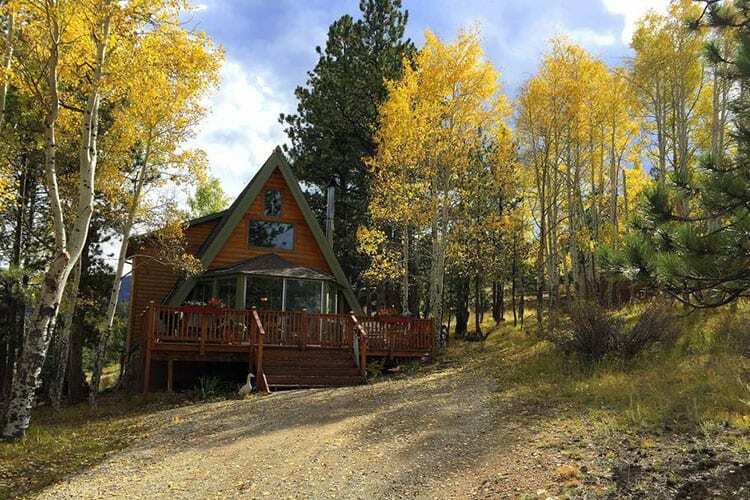 The cabin is easy to access year-round, sitting about a quarter-mile from downtown Estes Park. With one bedroom and one bathroom, the studio cabin is the perfect space for two guests. The kitchen is fully stocked with cooking supplies and snacks, and the cabin also has cable TV, high speed Internet, Netflix, and a DVD player. The recently-upgraded Riverside Cabin is great for folks who want to soak up the outdoors, featuring an enormous private hot tub, a gazebo for picnicking, and a fire pit. The cabin sits alongside the Big Thompson River, so bring your rod and reel to enjoy some spectacular fishing. The Riverside Cabin features brand new carpet, a fresh coat of paint, and beautiful handmade Amish furniture. It’s peaceful and quiet, with minimal traffic and a big deck. There’s ample space for several of your friends here. 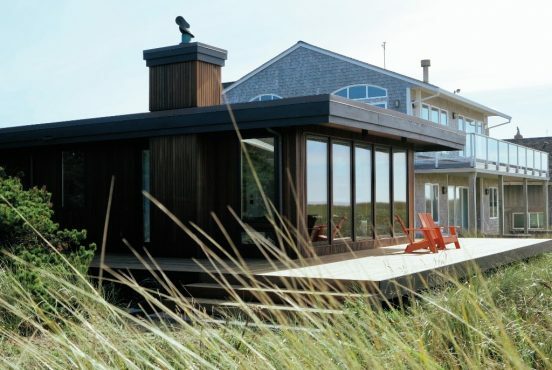 The cabin has five beds, one and a half bathrooms, and enough space for up to eight people. The living room is equipped for coziness with a leather couch and a beanbag chair, and the kitchen has seating at a table and a bar. Sink into the couch and enjoy Netflix and Amazon Prime, or look for elk and deer out the window. The Peaceful Pines Cabin is a whimsical A-frame with three outdoor decks where you can breathe in the clean mountain air. Tucked among the aspen and pine trees south of downtown Estes Park, the cabin is quiet, tranquil, and sure to get you in touch with nature. Throw some extra wood on the fire and enjoy the beautiful high-ceilinged wooden living room. With two bedrooms, three beds, and two bathrooms, the cabin can hold up to six guests. It’s also handicap accessible, as there aren’t any steps to the bathroom and bedroom. The cabin has a flat-screen TV, cable, Wifi, a fireplace, and a washer and dryer. 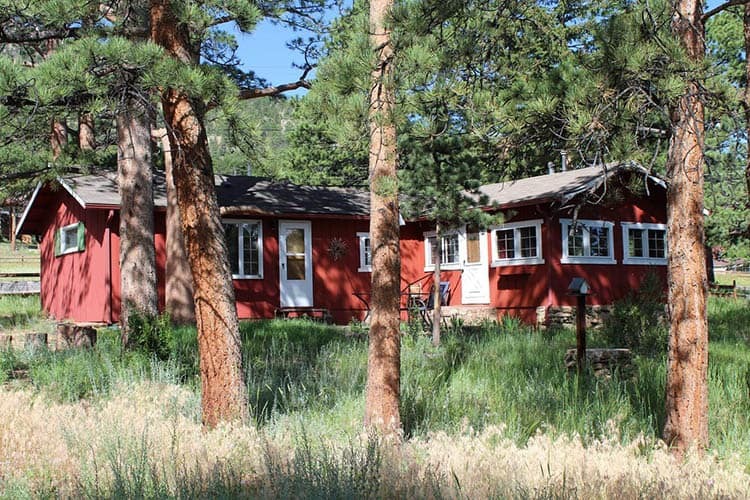 Built in the 1950s, the Little Red Cabin is a charming and unique place to stay in Estes Park. Its cheerful red exterior pops out from the surrounding greenery, and has a special way of attracting local wildlife to the yard. The cabin is just as bright and cheery inside, with wooden walls and mountain-inspired decor. It has one bedroom and a full bathroom, with extra sleeping space for two additional guests. The four-person cabin includes a washer and dryer, Wifi, a TV, and streaming services. Bears Den #1 is half of a duplex that was built in 2012. You’ll enjoy a view of Longs Peak from the picture windows, a shared hot tub, and lots of interior upgraded and designer features. The cabin has a covered front porch, a back patio, and a charcoal grill, so there’s plenty of excuses to spend more time outside. Big Thompson River is right across the street, while downtown Estes Park is five minutes away. 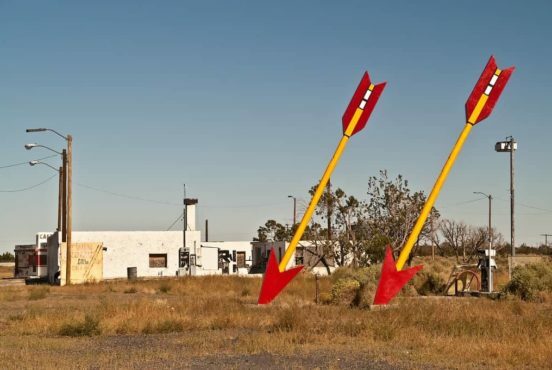 There’s even a free shuttle that stops across the street from the cabin. 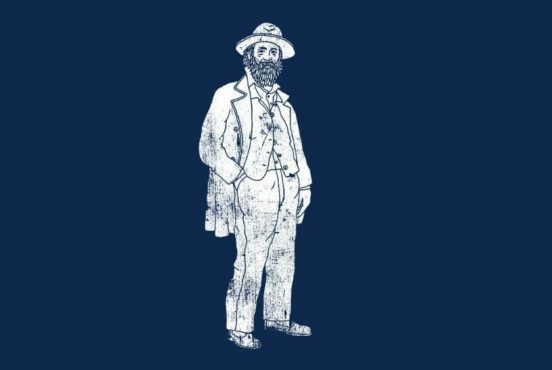 The Bears Den cabin has two bedrooms, three beds, and two bathrooms — perfect for a party of six. One bathroom features a jacuzzi tub, while the kitchen has upgraded appliances and everything you need to make a great meal. You’ll find games, books, and a TV in the great room. Rocky Retreat is the perfect place to escape, explore, and revive your spirit. 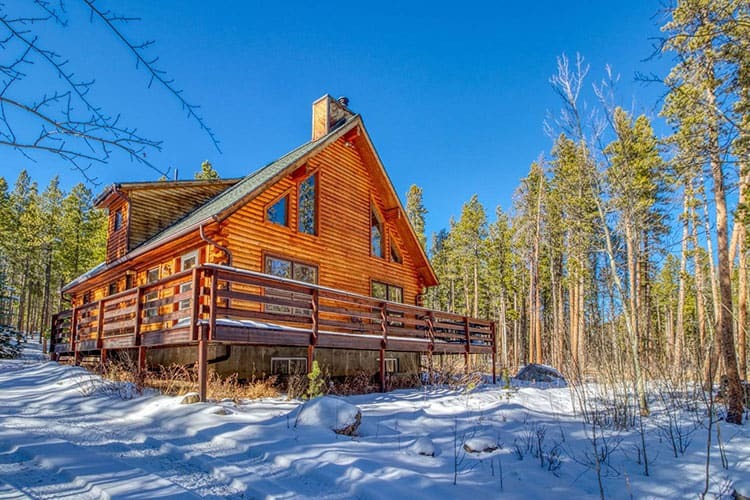 Situated right next to Rocky Mountain National Park, you can enjoy views from the comfort of your cabin or venture into the park for an adventure. Rocky Retreat was built in 1939, though it’s since been updated with more modern features. 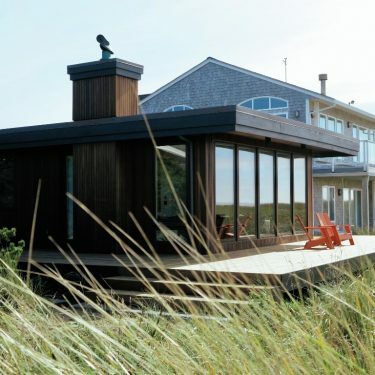 The cabin is 800 square feet and can accommodate four guests between one bedroom and two bathrooms. It has a gas fireplace, a TV with Netflix and Amazon Prime, and a washer and dryer (available for a fee). 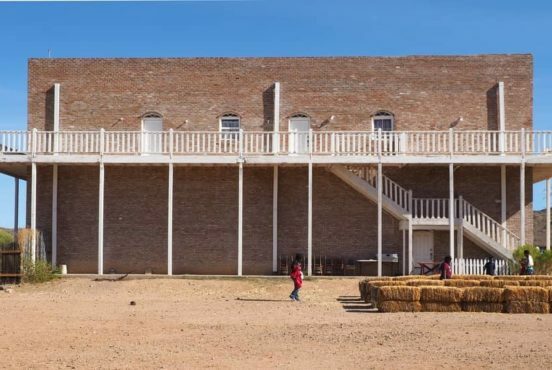 A cistern — essentially a refillable well — provides water for the property. The mountain views from the Twin Pines Cabin are simply spectacular. The spacious deck is ideal for cooking on the gas grill, spotting wildlife in the yard, or looking for constellations at night. The recently-updated cabin has two bedrooms and two bathrooms, offering enough space for up to six guests. It feels very spacious and roomy, with high ceilings and plenty of seating in common rooms. You’ll have access to free Wifi, a washer and dryer, a gas fireplace in the living room, and cooking supplies in the kitchen. 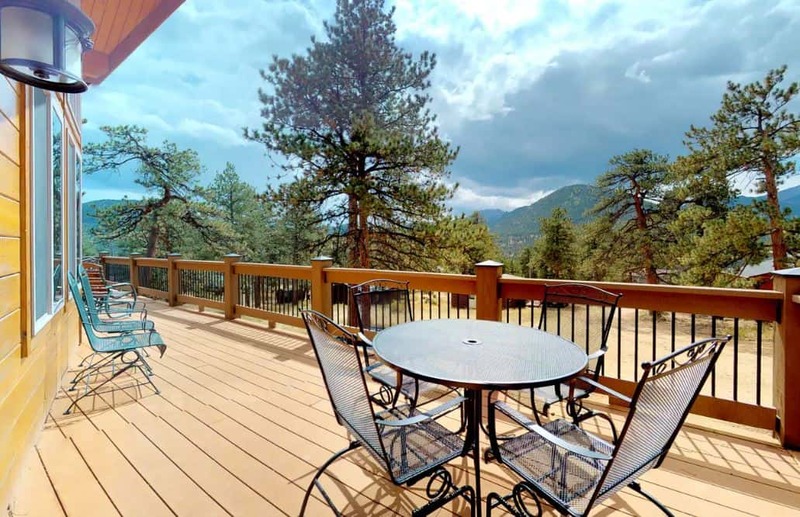 The Estes Park Chalet is a cozy, romantic retreat with stunning views of the mountains. The guest reviews indicate there’s an abundance of wildlife in the area, so keep an eye on the yard for some furry visitors during your stay. 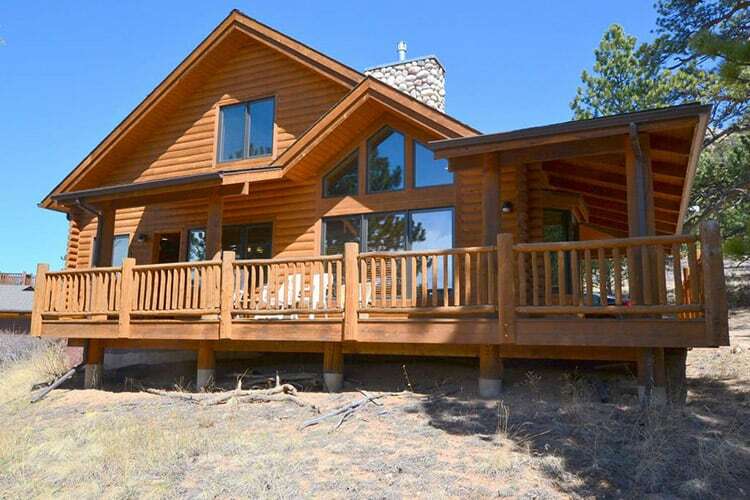 As if the roomy deck and beautiful peaks weren’t enough, the cabin has even more highlights inside. A gorgeous two-story river rock gas fireplace serves as a centerpiece in the living room, and the kitchen features custom granite countertops. 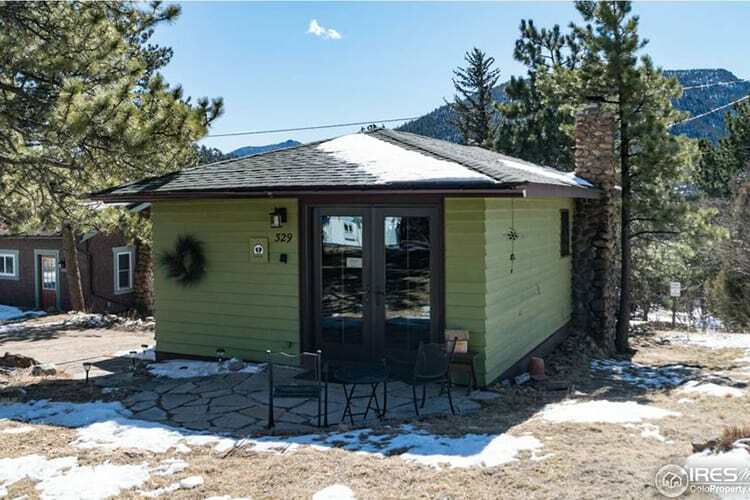 With one bedroom and one bathroom, the Estes Park Chalet is perfect for two guests. The upstairs bedroom has a king-size bed, and the great room on the main floor has a queen-size sofa sleeper. In the kitchen, sleek black appliances and the electric stovetop make cooking easy and fun. A TV, gas grill, Wifi, and washer and dryer are available as well. 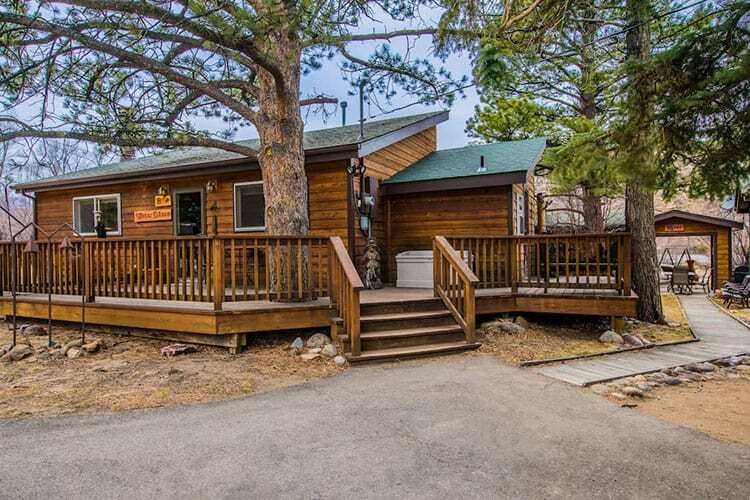 The Estes Park Chalet is far enough away from downtown to enjoy peace and quiet, but still close enough for a spontaneous night out if you feel like venturing into town. 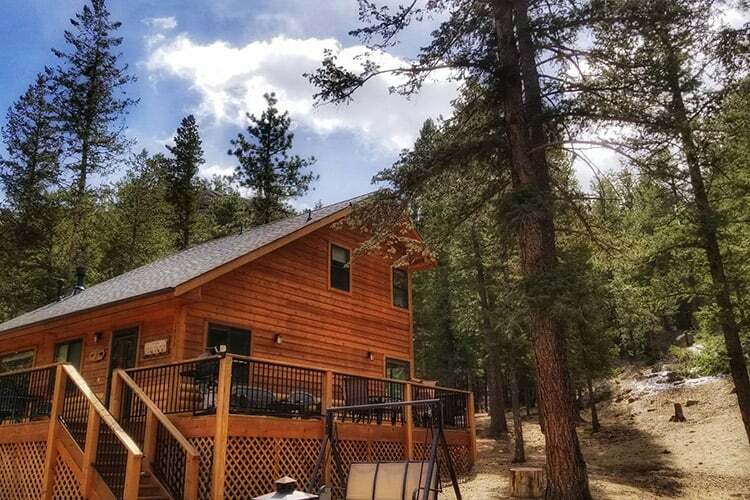 The Dreamcatcher Cabin is hosted by The Inn on Fall River, a hotel that’s on the banks of a stream halfway between Estes Park and the Fall River entrance to Rocky Mountain National Park. It’s a little more expensive than comparable options, but then again most Airbnb rentals don’t have employees on site 24/7 to meet your every need. The best part of this cabin is probably the private hot tub, the perfect place to soak in the fresh mountain air after a day of adventure in Rocky Mountain National Park. The cabin can hold seven guests with three bedrooms and one and a half bathrooms, so it’s great for large families and groups. The Big Owl Cabin in Allenspark boasts a full kitchen, wraparound deck, and even a Ping-Pong table for extra fun. The wood-burning fireplace is perfect for a chilly winter’s night. In the summer, head out to the deck and grill some burgers on the deck. 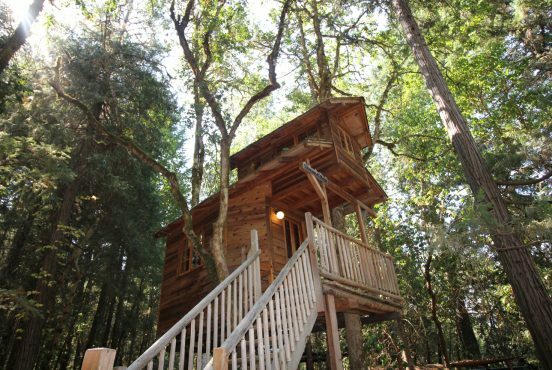 The Big Owl Cabin sleeps six guests with three bedrooms and three bathrooms. The cabin features a full kitchen, and dogs are welcome (for a nightly fee). There’s no shortage of things to do in and around Estes Park, and the free summer shuttle bus makes it easy to reach all the local attractions. Hiking, fishing, and horseback riding are some of the most popular activities in Estes Park. AllTrails provides a great list of 75 hiking spots in and around Estes Park, and SK Horses offers guided trail rides. A few must-try restaurants in downtown Estes Park include the Estes Park Brewery, Sweet Basilico Restaurant (order the pizza), and Donut Haus. If you buy a T-shirt at Donut Haus you get a free donut each time you wear it in, making it an excellent investment for a weeklong vacation. There’s a great winery in Estes Park, and plenty of food trucks that park at a brewery called Rock Cut. The food trucks sell everything from fried chicken to crepes, and are well worth a visit. If you’re able to visit from May to September, take the aerial tramway up Prospect Mountain for scenic views of the continental divide. Families traveling with kids should check out Fun City for bumper boats and cars, mini golf, a bungee trampoline, and more. There’s also an exciting aerial obstacle course at the Open Air Adventure Park. 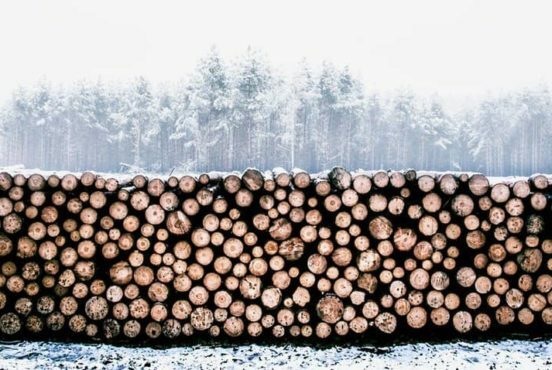 Finally, if you’re in town during the winter and have some time on your hands, the Eldora Mountain Resort is a little over an hour away from Estes Park. Colorado has some of the best snow on earth, so it’s a great place to hit the slopes on a snowboard or skis.